In every great dynasty, there comes a successor who in time, becomes the predecessor and the cycle repeats. With emerging technologies all converging towards Artificial Intelligence, Machine Learning and Deep Learning one language has become a clear winner – Python! ‘The joy of coding in Python should be in seeing short, concise, readable classes that express a lot of action in a small amount of clear code not in reams of trivial code that bores the reader to death’ – Guido van Rossum, the founder of Python. Programming becomes a hard nut to crack when it isn’t your forte. At times, daunting and even repulsive. It has been observed that Python has gained popularity not only among technical gurus but among the amateurs as well. With such massive amounts of data the chances of securing a job increase substantially. Python is a comparatively easy language to learn. Several libraries in Python are specifically written for data science and this allows you to keep your coding to a minimum and yet get meaningful results. To put things in perspective, in the past 12 months google searches for Python has surpassed searches for Kim Kardashian, the uber-popular reality star. Other influential organisations seem to agree too. 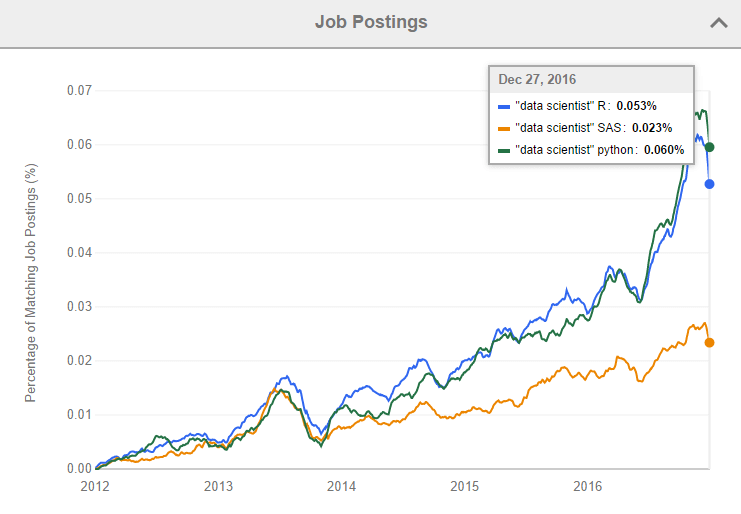 The increase in job seekers interest in Python has witnessed a steep rise surpassing R and SAS as of January 2018. Python dates back to the late 1980’s and it was first implemented in 1989 by Guido van Rossum, the creator of Python, as a successor to ABC language, which is an imperative general purpose programming language. What makes Python desirable is its simplicity, flexibility, compatibility, versatility. The fact that it is free and has numerous open source libraries is the icing on the cake. The language can be used for almost anything: from the basic ‘hello world!’ algorithm to complex machine learning algorithms for face detection, drone imagery, Internet of Things, games, robotics, natural language processing, healthcare and many more. Moreover, the code is concise and easily understandable even for those who have never written it before, at least for basic to intermediate code. This makes the language more enjoyable compared to other languages. 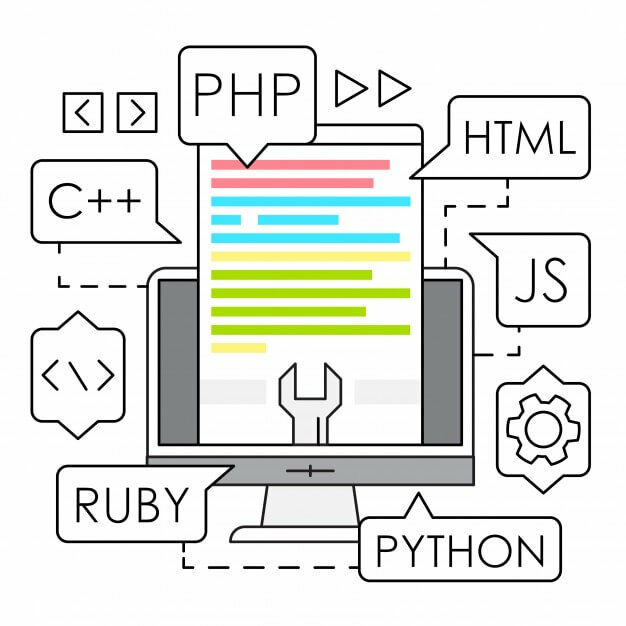 The likelihood of securing a job after learning Python is thus significant with around 58936 job postings online. So before you start wondering how, when and where can you learn Python let me give a helping hand. Just click the link or on the image below to start learning a specially created free short course on Python in simple, jargon-free English with hands-on, step-by-step exercises you can follow along. Even better it focuses on just the specific things you need for data science, machine learning and AI and not a whole bunch of other unnecessary stuff – we know your time is precious!